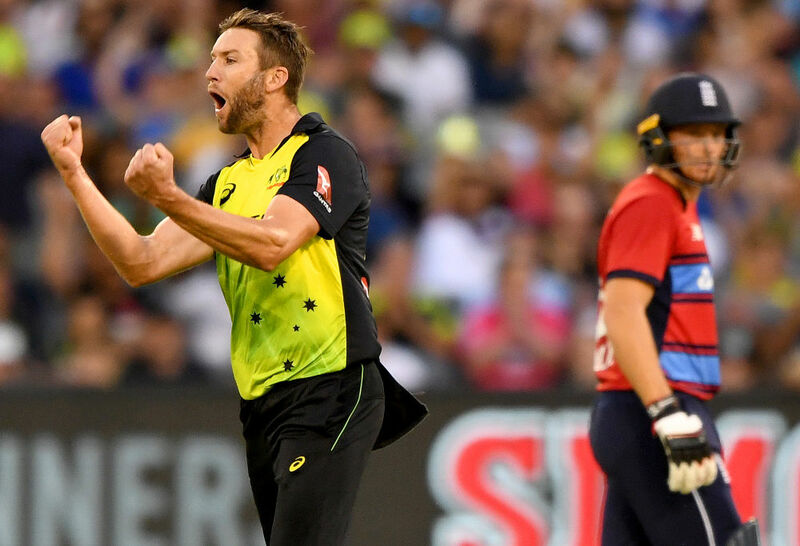 Recently the Australian selectors named their one-day squad to play England and Zimbabwe, but most agree it’s a list lacking explosiveness during the powerplay and at the death as well as the ability to keep going if a few early wickets are lost. This is what our ideal ODI squad looks like in the lead up to the 2019 World Cup. We have put a strong emphasis on picking younger players, as they need some experience, especially with the World Cup and world T20s in consecutive years (2020 and 2021). His experience alone guarantees Finch a spot in this side. In 2017 Finch already has two 100s and one 50 from three innings. He has a career average of around 40 and a strike rate of just over 90. The most experienced campaigner in this squad, he also gets the captaincy as the only player on the side to have captained Australia before. In a team full of explosive batsmen, Daniel Hughes is the perfect anchor for them all to lean on. He has shown that he is ready for the Test of international cricket, with an average of 65.16 in list A and a strike rate of 88.06 from 14 matches. He is what Australia so desperately needs right now in the ODI format because he is so consistent. He is perhaps the most controversial pick because he is the only player in the squad not to have international experience. One of the most exciting Australian batsmen, Lynn can take apart attacks with relative ease and shows no fear of getting out. The only two problems with Lynn are that he will win a game for you and then get injured and that he is something of a liability in the field at the moment. We see him as that matchwinning batsman, though, and you cannot leave him out. Glenn Maxwell was absolutely robbed this past summer. After losing his place in the Test team he went out to score a massive haul of runs, but they give the spot to Mitchell Marsh (even though it did pay off). The one summer he actually scores runs consistently and the selectors won’t pick him. Despite these setbacks, Maxwell has found his way back into the squads for all three formats and looms as a key figure in this one. He could get selected for his batting alone, but let us not forget that he was Australia’s only spinner in the 2015 World Cup, and that will be more than handy. 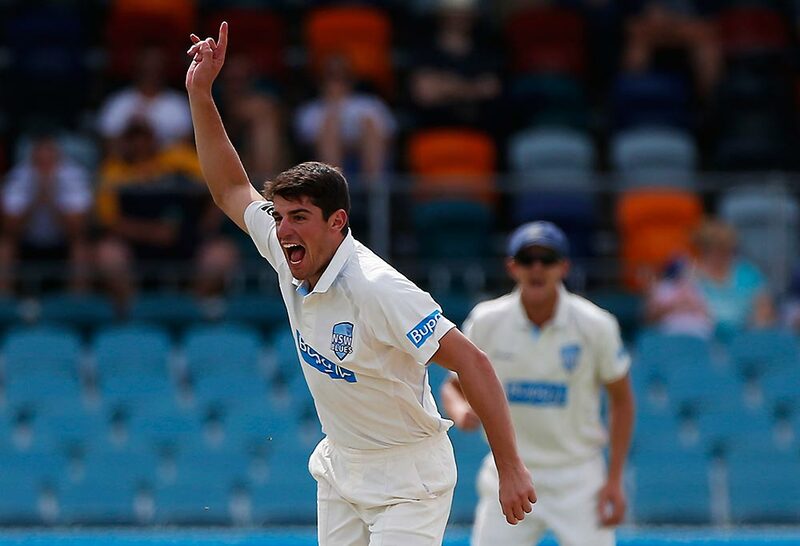 D’Arcy Short has been on a roller-coaster these past few months and could easily open or slot in the middle order as he has done for Western Australia in the recent JLT Cup. He has a Twenty20 average of 49 and a strike rate of 150. In the list A format his results are also impressive: an average of 32.57 from eight innings. He can also give us some handy overs of his left arm wrist spin, which he has been working closely with Shane Warne on. He has a list A bowling average of 33.75. After moving away from the Netherlands because he wanted a shot at Test cricket, Tom Cooper is an outside pick for this side despite being one of the more experienced cricketers in the country, having played international cricket. After debuting in 2010 he spent six years with the Dutch before he moved to Australia, where he could play Test cricket because of his dual citizenship. He has a list A average of over 30 and a high score of 203 not out, which is ridiculous as he usually bats at five He is perhaps the most underrated Australian batsman. On top of all this Cooper is a handy part-timer and a gun fielder. 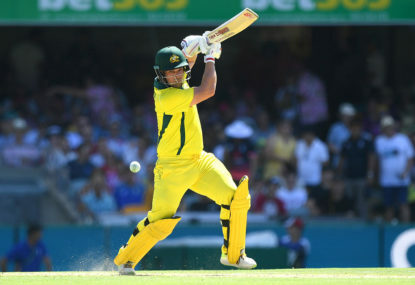 The other player guaranteed a spot in this side, Stoinis has become a mainstay in the Australian line-up after his heroics at Eden Park in New Zealand. The innings was so amazing that it brought the usually hostile crowd to their feet, and it’s not hard to see why. With Australia reeling at 5/54 Stoinis single-handedly brought the country from certain loss and embarrassment to 9/280. Australia needed only one more six out of him – he had already hit 11 to go with his nine fours – but could only watch as Hazlewood was run out for a diamond duck. This is my most memorable innings of all time purely because Stoinis backed himself to go the distance when most batsmen would have tried to rebuild, and it most certainly paid off. Ashton Agar is a handy bat, exceptional bowler and gun fielder. In other words, he’s everything that you could want from a player. Agar made a good impression on debut – to say the least – scoring 98 runs from number 11, but the more impressive thing was that when he came back to the changing room he looked at it as 98 runs scored rather than two runs missed. This shows his character and his desire for the team to do well above himself. His list A stats are impressive: a bowling average of 28.79 and a batting average in excess of 20, but we all know that he is a better bat than that. ‘Big’ Moises has not been in the selectors’ minds as of late and I am still at odds as to why he was dropped in the first place – two and a bit games in terrible weather does not give reason enough to drop him. If something happens to Stoinis, he is a shoo-in. He has a list A average of over 30 and over 2000 runs. He is a somewhat controversial pick for this side but he is a medium-pace bowling all-rounder, which is always handy in England, who can bat almost anywhere, and he also has plenty of experience. The wicketkeeping spot was out of Tim Paine and Alex Carey, so in other words it was between Alex Carey and Alex Carey. Carey is a much better batsman and scores quicker. He gives better balance to the team being able to bat wherever, whereas Paine can bat only down the order. One interesting fact: Australia is the only Test-playing nation that still bats their keeper at number seven in the ODI format. 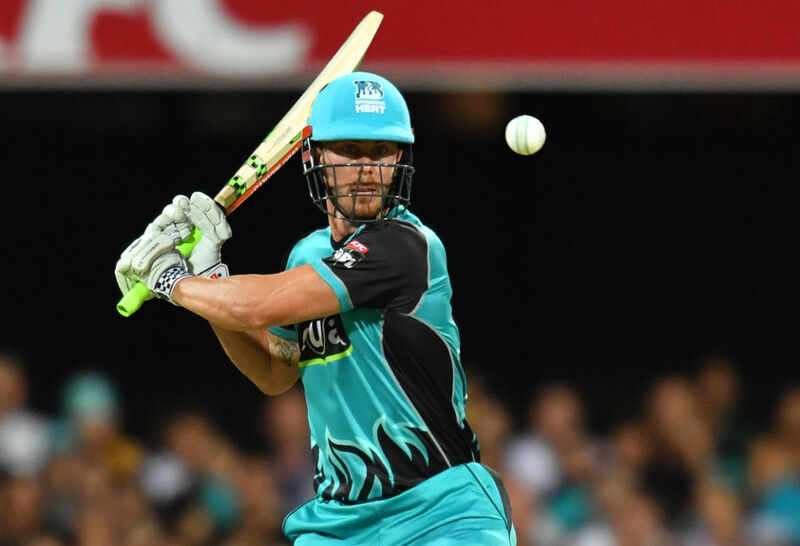 Carey has come off an exceptional season in 2017-18, when he scored his maiden Big Bash and first-class ton and came agonisingly close in the JLT Cup (out on 92). His list A average of just over 30 is very good. Carey also has age on his side – at 26 he is Australia’s next-in-line keeper for all formats. You can see with the bowlers that we have gone with limited-overs specialists over Test players, and Richardson is easily one of the best limited-overs specialists. He can swing the ball both ways, has a good slower ball and yorker and will bowl better at the death than Mitchell Starc and Pat Cummins, who quite frankly haven’t been up to the mark as of late. His stats are good at international level: 21 wickets from 15 matches at an average of 33.23 and a list A average of just over 28. He has vastly improved from the last time he played international cricket, though, and that has me excited. Tye is easily the best death bowler in Australia. He can give us five handy overs during the middle of the innings to apply the brakes and a further five at the death. He has so many variations – how can he remember them all? Tye isn’t bad with the bat either. He has very nice international stats: an average of 21 and an economy rate of 4.68, which is ridiculous considering he bowls at the death. An exciting prospect, Stanlake brings the speed and aggression this side is lacking with the ball at the moment. He regularly hits 150 kilometres per hour, has a good yorker and a nasty bouncer. On his day he is unplayable thanks to his sharp bounce. We all remember his spell against New Zealand in the T20 tri-series – if he produces something like that in the ODI arena, then Australia are pretty much guaranteed a victory. He has not played much list-A cricket, but that’s okay because he balances this team out and we all know how special a talent he is. When picking this side one of the must-haves was a wrist spinner. Due to Adam Zampa’s performance as of late, Swepson gets a chance. He is an exciting young player and has got good variations. 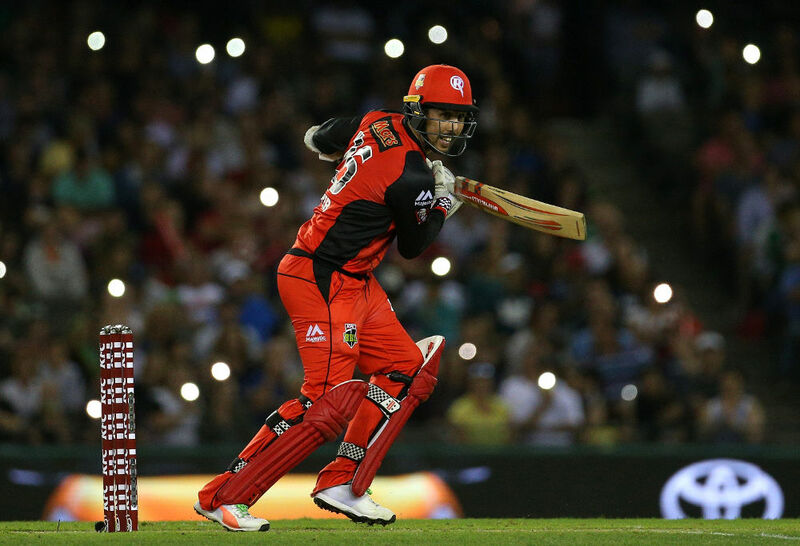 He is more famous for his BBL feats, but he could easily transfer them to the ODI arena. He has many variations and gets enough spin to deceive the batsmen. The only person who plays Test cricket at the moment in this squad, Hazlewood has been exceptional in the ODI format as well as the Tests. This boils down to doing the simple things right: where other bowlers, such as Starc and Cummins, change their style drastically, Hazlewood just keeps bowling that tight line and length that restricts the runs scored in the powerplay. He is right up there on the ICC ODI bowling rankings as well, currently sitting third, and he also had a great Champions Trophy, which is nice, because we know he can perform in England. He has an average of 24.28 and a strike rate of 30.81, which is about two wickets per match.